The Kleingers Group conducted master planning for the site. Specifically, Kleingers presented a number of layout options based on nationally recognized sport event complexes to The Warren County Convention and Visitors Bureau, who planned to turn the complex into facility that could attract national tournaments. 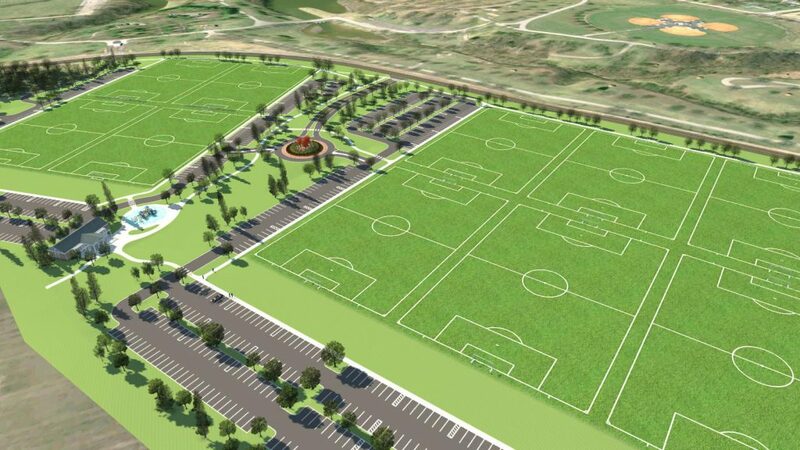 After several iterations, the CVB settled on a design that will include 12 soccer fields, 8 baseball fields, lighting, parking, concessions, an amphitheater and playgrounds. By using strategic layouts of the various fields, they are able to accommodate both a wide-range of age groups and less common sports, such as rugby and Ultimate Frisbee, which require a larger field. The result is a complex that is able to be rented throughout the year and will attract a variety of different sports.